About 70 general employers and 30 health employers will converge on OCCC’s Student Union Wednesday, Oct. 2, looking for full-time and part-time employees, said Debra Vaughn, Student Employment and Career Services director. 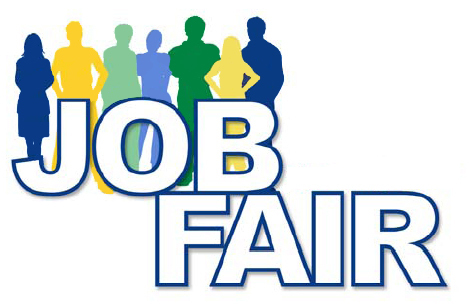 Vaughn said the job fair is advertised statewide and all job-seekers, including students, alumni and members of the community, are invited. OCCC nursing student Emma Marshall said she will attend the fair this year in hopes of finding a job from one of the many health employers. Vaughn said preparing for the career fair is simple. She recommends applicants dress professionally. This will not only give the employers a good first impression, Vaughn said, but also will show them how serious one is about getting a job. Vaughn also recommends people bring six or more copies of their résumé. Up to 10 résumés a day can be printed on official résumé paper for free in the Career and Employment Services office which is located on the first floor of the Main Building. Another thing to prepare for would be an on-the-spot interview, Vaughn said. Many employers are looking to hire that day. Many who attend the career fair get hired, Vaughn said. Usually around 3,500 to 4,000 people attend OCCC fairs, Vaughn said. She advises applicants to get to the career fair as soon as it starts. She said in the past, some employers have run out of applications within two hours. One student who attended a year ago found a job there. The goal of the career fair is success for people who want to work, Vaughn said. “We strive to have a variety of employers for the students and public,” she said. For more information about OCCC’s career fair, contact the Employment and Career Services office at 405-682-7519 or visit www.occc.edu/es.